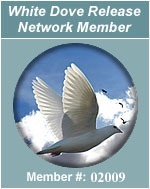 This form is used to book your doves through our secure system. Order with confidence! You can book your doves out as far as 1 year in advance. If you are ready to book a white dove release, please fill out the form below. We offer options to have a representative on site, as well as express options, depending on the location. The system will automatically determine which option is available to you in your area. The nationwide delivery option is available for the 2, and 4 bird qty. Please Note: We need at least (4) days advance notice, due to logistical purposes. In addition, Wednesday of each week is the cutoff day for booking dove releases that will take place over the weekend. Important: We must have at least a 4 day advance notice before you can book any doves due to logistical reasons. Does your request give us at least 4 days advance notice? Please answer Yes or No. TO BOOK YOUR DOVE RELEASE, PLEASE FILL OUT OUR FORM BELOW AND OUR REPRESENTATIVE WILL CONTACT YOU WITHIN 24-48 HRS. Service area: Entire state of Arkansas. Summary: We're white dove release pioneers! We offer dedicated service, professionalism, and passion. 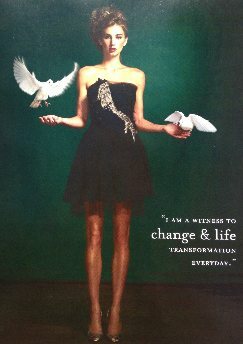 With help from the World Wide Web, and our extensive experience in the IT field, along with database marketing experience and strong faith in what we do, we have created a market for dove services across America like never before! 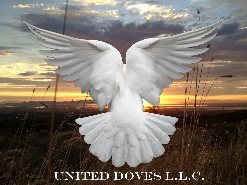 United Doves LLC is a service-connected veteran-owned business! 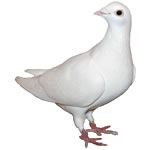 We will perform dove releases within a 60 mile radius of Little Rock, Arkansas. If your event is outside of this radius, additional fees will apply. Please call for details. 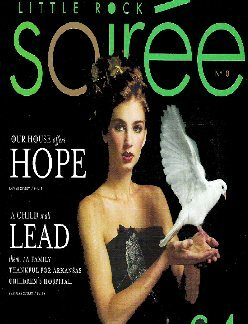 We have been hired to provide our United Doves for Models as seen in this Ad by Soiree Magazine (2008). The professional photographer did an Excellent Job! !